In a class of its own, the Glenfiddich Bourbon Barrel Reserve 14 Year Old uniquely delivers a bourbon heart with the soul of single malt. Our Malt Master, Brian Kinsman patiently waits for 14 years as the whisky matures in ex-bourbon American Oak casks, and then finishes the whisky in deep charred new American Oak barrels supplied by The Kelvin Cooperage in Louisville, Kentucky. The result: a rich, sweet and vibrant single malt. Its a whisky that delivers beautifully complex flavours of woody spices combined with ripe summer fruit, resulting from the spirit's interaction with the casks. 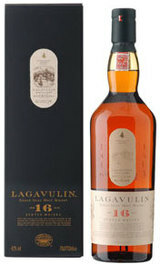 Aged 14 years in former Bourbon barrels, this is an amber-colored whisky that's scented with vanilla and peach. 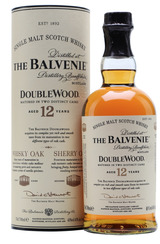 The palate is also peachy, highlighted by hints of almond, oak and sandalwood. The finish is drying and lightly spiced.